It will come as little surprise to regular readers that the best performing prime lens is the recently introduced Otus 1,4/55 ZF.2 from Zeiss, but at $4,000 it’s intended for serious photographers. 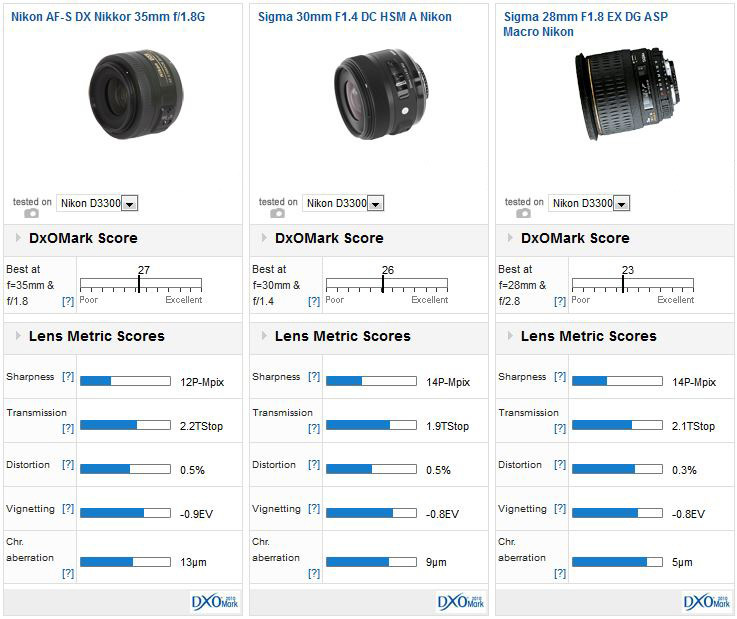 With a DxOMark lens score of 21-points it leads by quite a comfortable margin, and only the Zeiss Apo Sonnar T* 2/135 ranked in third place comes close in terms in sharpness. 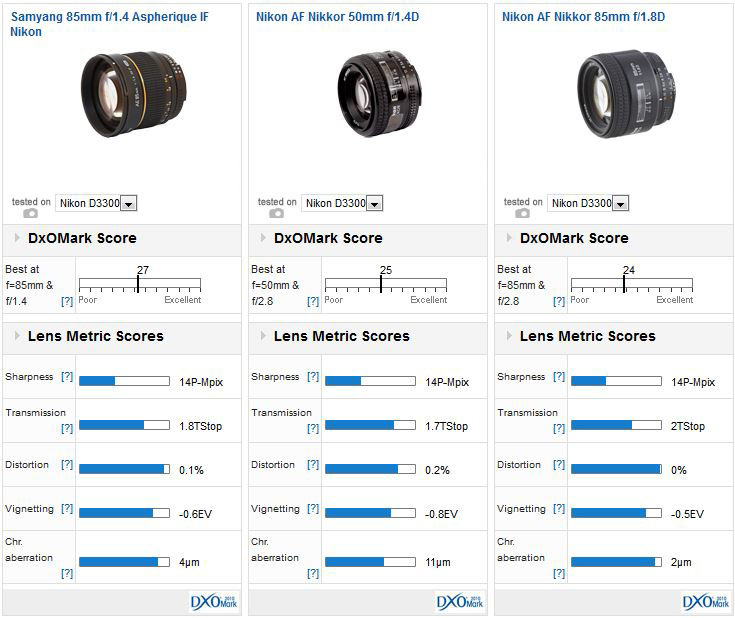 In joint second place are two favorites, the Nikon AF-S Nikkor 85mm f1.8G and the Sigma 35mm f1.4 Art-series. All four lenses are full-frame and are relatively pricey, the Zeiss especially. However, there are plenty of high performing models at more accessible prices. Some of the best value lenses are made for APS-C size only sensors. Nikon’s AF-S Nikkor 35mm f1.8G DX is around $199. Although not a great performer on older camera bodies such as the 12-Mpix Nikon D300s, on the D3300 this lens is surprisingly good even at maximum aperture (although it does show some slight softening to the borders of the frame). Optimum performance is achieved at f5.6. Sigma’s revised 30mm f1.4 DC HSM Art series model is of course emulating the high-speed standard and at $499 it’s not inexpensive however, it can boast slightly higher peak sharpness than the Nikkor particularly at wider-apertures albeit not that model’s uniformity. Slightly wider and designed originally for full-frame the Sigma 28mm f/1.8 (42mm equivalent) has quite low sharpness and poor corner performance till f2.8 where it suddenly improves. After that most gains are made in the outer field. 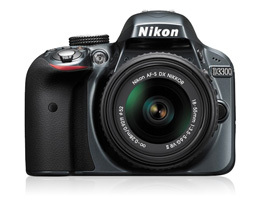 At $449, it’s not as good value as the other two but it’s well worth considering if you intend to complement the D3300 with a full-frame body. As the equivalent to a 85mm the full-frame Zeiss Distagon T* 55mm f1.4 doubles as a great portrait lens on an APS-C camera, but at $4,000 it’s unlikely to be seriously paired with a Nikon D3300. 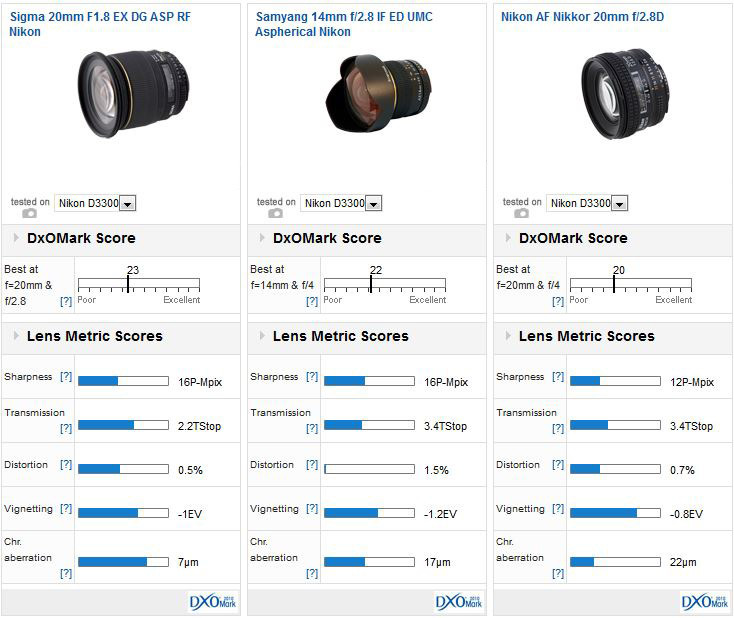 The same can be said for the full-frame AF-S Nikkor 85mm f1.4G (ranked in third place). While it has slightly higher sharpness than the 85mm f1.8G at $2,199 it’s not inexpensive. However if the field of view is appealing, as the equivalent to a 135mm, then the more modestly priced 85mm f1.8G is a marginally better performer in second place in our rankings. Budget options include the old Nikkor 85mm f1.8 AF-D version, if it can still be found new. It lacks the sonic-type AF motor of the newer model but it’s still fast to focus and is a very good performer optically. Samyang’s manual focus only 85mm f1.4 has that alluring, ultra-fast maximum aperture and, at $349, the bargain-basement price is very tempting. Depending on your point of view, the 50mm is, arguably, more versatile and as a 77mm it’s more suited to indoor portraiture than the 135mm equivalents. All three are close in IQ, but somewhat surprisingly, the modestly priced Samyang is slightly ahead. Given this Nikon mount model has an active (part-electronic) mount and an automatic diaphragm – features that are missing on rival mount versions – the Samyang is particularly appealing. At $1,700 and sitting in first place in the wide-angle category, the best performing model on the Nikon D3300 is the manual focus only Zeiss Distagon T* 25mm f2. It’s closely followed by the AF-S Nikkor 24mm f1.4G ED, which is not only a stop faster but offers autofocus as well. Opinions differ on the value of autofocus at this focal length (and shorter), but if manual focus isn’t high on your list of priorities then the Samyang 24mm f1.4 ED AS UMC at $600 including an auto-diaphragm and an active mount is good value. Keep in mind though that a 24mm is the equivalent to only a moderately wide 35mm on an APS-C format model like the Nikon D3300. Our value choices for wide-angle lenses include the Sigma 20mm f1.8 EX DG ASP RF – a full-frame model the equivalent to a 30mm on the Nikon D3300. At $629 or so it’s not an expensive option, but it has high sharpness and very low distortion and chromatic aberration. It will of course serve double duty on a full-frame body, but in terms of value most users will be better served by a dedicated APS-C format zoom (see part I for model choices). Samyang’s 14mm f2.8 IF ED UMC is another good performer, but it has quite high levels of field curvature at wider apertures and the $409 looks pricey against more versatile zoom options. 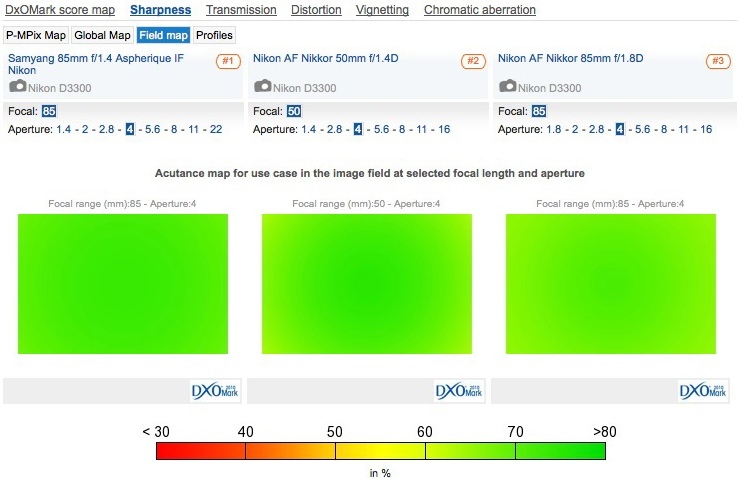 Nikon has yet to upgrade the AF-D version of its once popular Nikkor 20mm f2.8, however the optical design remains unchanged from the previous manual focus AI-S model from the early 1980s and while relatively good it’s someway behind the Sigma, especially in sharpness. At $570 it’s not a cheap option.